Hey guys, it’s been a while since my last post! Still no news about the summer update or anything but a new patch was released to the test servers today with a few changes. But have you guys seen the new starters for Pokemon Sun and Moon? Rowlett has a cute leaf bowtie!! The client’s size has been reduced by 1.78GB through data optimization. (I actually checked with a clean install of the last version and this one, and it’s exactly right haha). Certain skills have been changed to allow the ‘skill effect transparency‘ option to affect them as well. It seems to include summons, install type skills, and hit effects now. I think they also increased the maximum transparency of your own skills, because I can barely see any of them now haha (I have Arrow Platter installed as well as Phoenix summoned in the above SS). 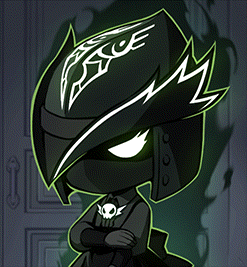 The following bosses and their hidden illustrations have been added to Murmur’s Soul Collector. Target detected, entering elimination mode. 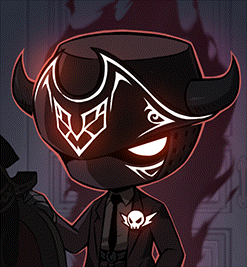 Note: while I was at it, I also found the illustrations for the bosses added to the Soul Collector last patch, so I added them into my last post. 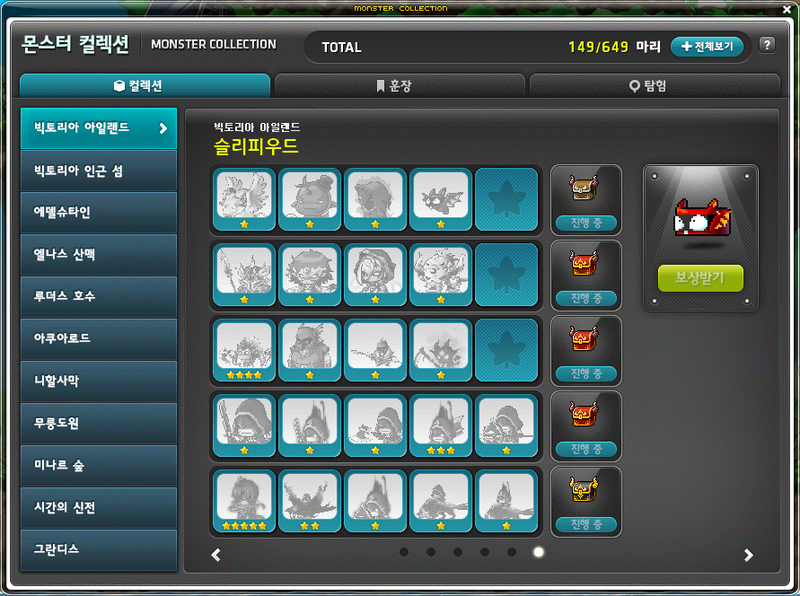 New monsters have been added to the Monster Collection. The Demon monsters have been added to the Victoria Island -> Sleepywood area. 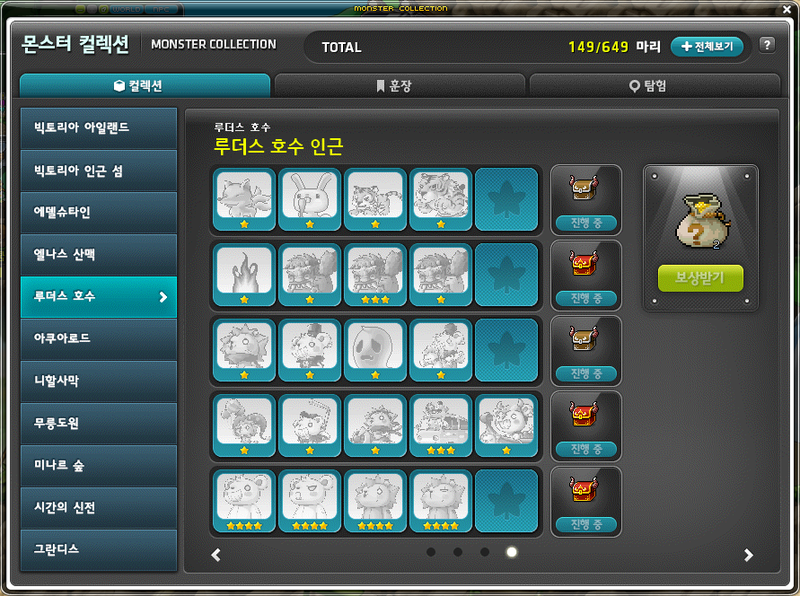 The Fantastic Theme Park and Korean Folk Town monsters have been added to the Ludus Lake area. New Monster Collection related items have been added. Certain monsters will now appear in certain areas. The Master Dummy will now appear occasionally in Mu Lung Dojo’s Advanced Training Area. The Gigantic Bellflower Root will now appear occasionally in Herb Town’s Bellflower Valley. An error where you would sometimes not be resurrected when using Auto Resurrection has been fixed. The list of content which you can access through the icons on the left side of your screen has been changed. Equipment Enhancement can now only be accessed through the inventory’s enhancement button or through a hotkey. Boss Party can now only be accessed through the Community UI or through a hotkey. 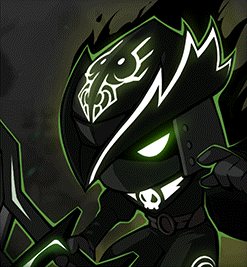 An error where jobs other than Demons and Mikhail could equip Force Shields and Soul Shields has been fixed. The Meso Market now has additional restrictions. You cannot use it if your character is less than level 33. You cannot use it if your character was created less than 3 days ago. 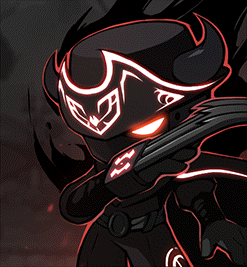 The Damage Skin Storage‘s maximum number of slots has been expanded from 10 to 15. You can now use Colour Lenses on Androids. 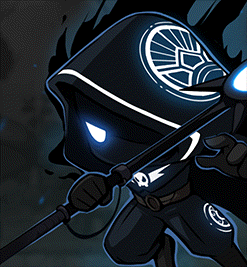 An error where Adventurer Magicians’ Energy Bolt and Archmage (I/L)’s Lightning Sphere were classified as physical property skills has been fixed. An error where Captains using Wings would have abnormal actions has been fixed. Pink Bean’s Sky Jump‘s damage has been adjusted and its cooldown has been decreased. An error where it was possible to use Pink Bean Warrior while hanging on a rope or ladder has been fixed. Pink Bean’s ability to become invincible while casting buff skills has been changed to the ability to not get knocked back by monsters while casting buff skills. What is this Meso Market thing? 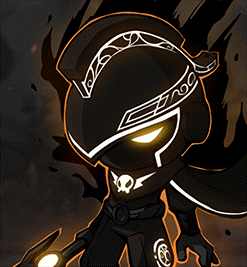 Will it come to GMS? 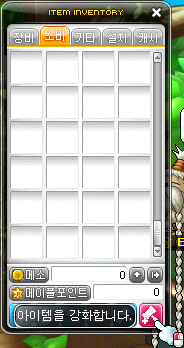 Meso Market is a place where you can buy/sell Maple Points for mesos. We’ve had it for a long time (maybe since RED?) but GMS hasn’t gotten it yet so I don’t know. Last I heard about it was when GMS started their “A Better Maple” campaign, which they said they wanted too but wouldn’t add it or the Auction House because of a persistent bug and that they would consider adding it later on. After all this time and added it content it pretty much translates to: No. They need to remove like another 5 GB. So much crap in the files it’s not even funny. They need to bring back their Wizet programmers. I’ll try and see if I can find them but honestly I have no idea which wz file they’re in so it’s sort of hard lol. It’s ok if you can’t. I’ve just always been surprised at the lack of artwork of them. They have these really cool designs, but they don’t get much attention beyond being punching bags that drop CSS. Surprisingly easy to find them actually haha. I’ll add them in to this post (and I guess I can add in the ones for last patch’s additions too). I agree, they do look pretty cool! I think you left Karianne’s and Plaid’s descriptions untranslated (also, Magnus’s in the other post). But I’m too busy laughing at house-husband Lotus to really care. Wait a minute, they have genders!? 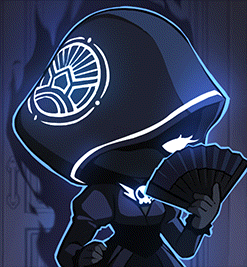 I always thought the elite bosses were genderless shadows of existing class types. 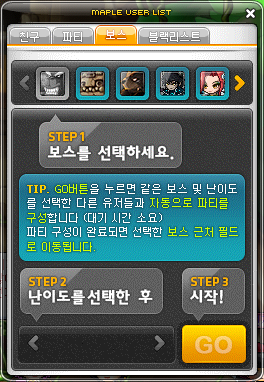 Last time I encountered them (GMS), I didn’t hear anything. Maybe they added their voices later? They’ve been around as long as I can remember. 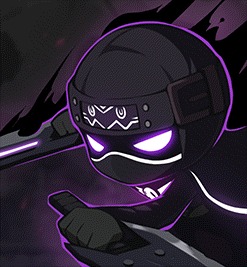 Especially since Mokadin will scream “FIGHT WITH HONOR” whenever he stabs at you. Maybe you have your skills sounds turned off? I think that while I encountered them (especially Mokadin), I was playing with classes that were quite noisy (such as the Dual Blade while hitting multiple targets). So maybe it covered the voices completely. And then Xenon is noisy as well, and he speaks, which might make me not hear the boss at all. I guess I’ll just search them on youtube. Ty for the answers. I doubt we’ll see any progress until the end of the year. They halted development for a long time after RED and making a dozen or so new skills for nearly forty separate characters can’t be easy. They are currently rushing it to completion for next month’s patch. They are not near done yet that’s why the lack of annoucement for their next content. I’m going to go with Litten since it’s a cat and I always pick the fire starter Pokemon. Heya Max, just thought i give ya something of a hand, seeing as you’re always giving us the news. So I attempted to translate the text from the souls that you left out. (though to be fair, its a very loose translation… sorry about that.) And thanks Max for all your hard work. Hey Max if no trouble to ask, what program do you use to extract the images? Just a bit curious! blaster was released in december. Guess you’re not paying much attention to the game’s updates? KMS ver. 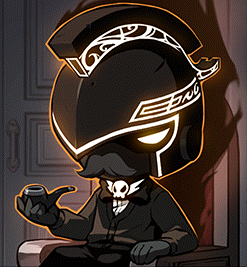 1.2.256 – Minor Changes and New Events KMS ver. 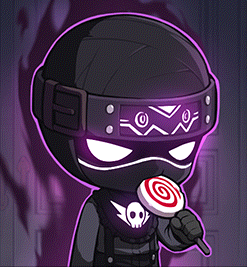 1.2.255 – MapleStory’s 13th Anniversary!